Author, broadcaster, educator, actor, playwright. Born in the Rural Municipality of Springfield on 13 December 1900 where his father, who had arrived in Manitoba from Newfoundland in 1892, had begun to farm. In 1903 the family moved into Winnipeg. He taught at Tache School until 1934 when he joined the teaching staff of the Winnipeg School Division. He then taught successively at General Wolfe School (1934-1938), Robert H. Smith School (1939-1941), Kelvin High School (?-? ), and Gordon Bell High School (1943-1951). 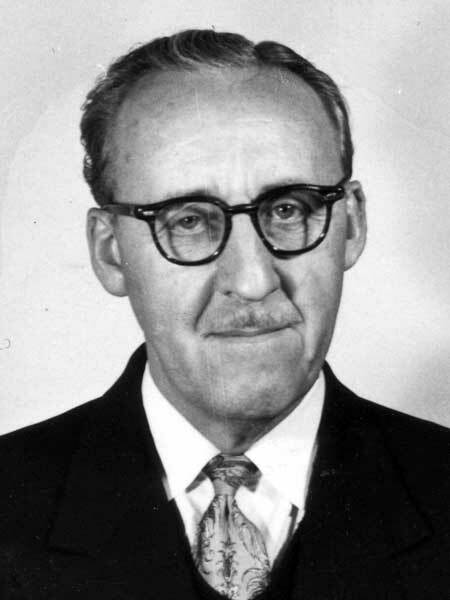 He served as the Principal of Alexandra School (1951-1954), Norquay School (1954-1958), and Mulvey School (1960-1966). He spent two years in Europe teaching in National Defense Schools. He retired from teaching in 1966. In 1970, he was awarded a Manitoba Centennial Medal by the Manitoba Historical Society. He died at Winnipeg on 27 April 1984 and was buried in the Elmwood Cemetery. Manitoba History, Number 57, February 2008. Manitoba Legislative Library, Biographical Scrapbook B20, page 130, Obituary - J. W. Chafe. We thank Warren Chafe for providing additional information used here.